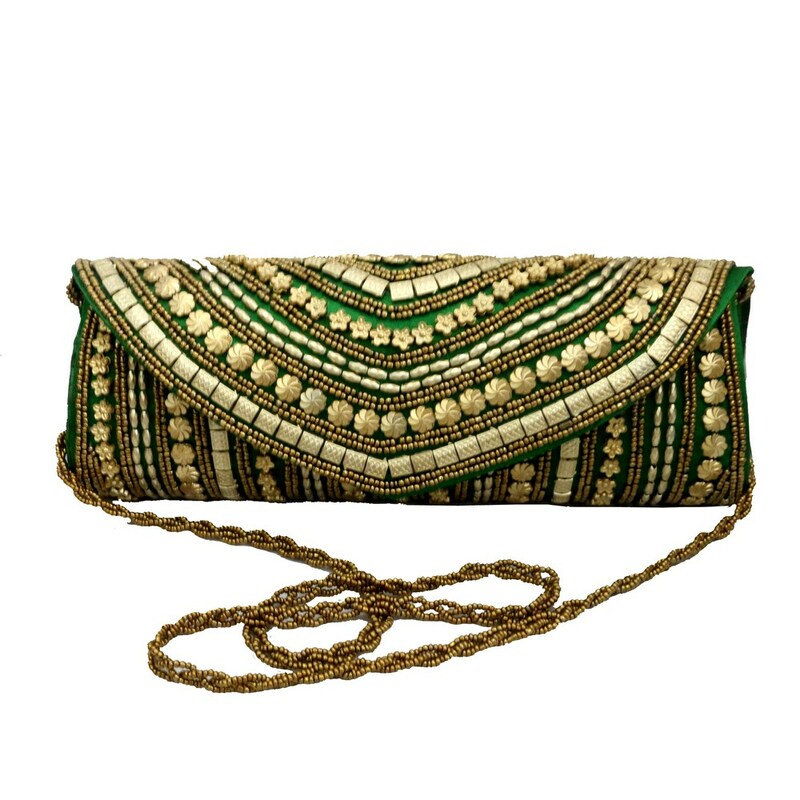 Carrying an elegant clutch is very important to crown the effect of any exquisite apparel. This pistachio colored slim and trendy clutch has stripes of Read More..golden sequence work all over. The flip opening is also heavily drawn with detailed sequence work. This stylish pouch has a designer sling to add to the aristocracy. Show Less..